You can stop your money funding climate change! We want our money to do good for us individually but also for all of us together. We want to know that our money in banks, superannuation and organisations we are part of, is used for good, not to fund industries that contribute to climate change. We can use the power we have over our own money to help make the change. For example, the Adani coal mine in the Galilee Basin could be stopped by divestment campaigns that influence banks to consider the long-term impact of such projects. Complete our 2 minute survey on Divestment. Please respond to let us know what you think about this topic. Come along to our free public meeting 6pm-8pm Wednesday 5 October 2016at The Joinery, to learn more about divestment. Our speaker is Jack Bertolus, Research Coordinator with Market Forces, a Melbourne-based organisation that advocates for money to be used as a force for good. Please register online. Participate in Divestment Day activities on Saturday 8 October 2016 – we’ll be taking our message directly to the big banks. Join Future Super before 21 October 2016 for your chance to win dinner with Naomi Klein. 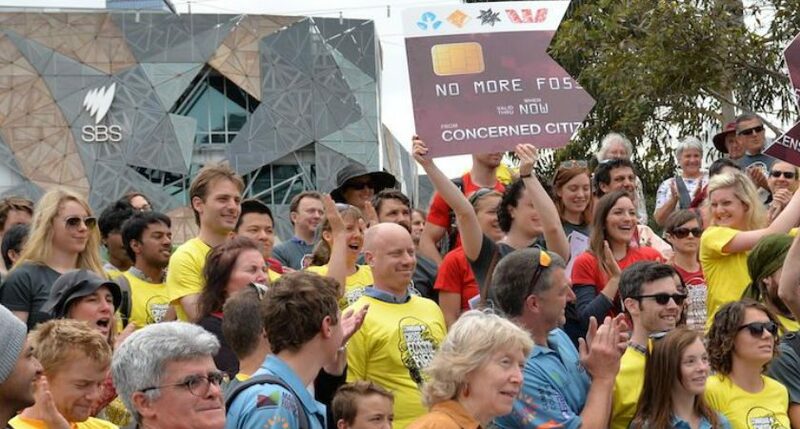 Future Super is Australia’s first 100% fossil fuel free super fund. Do you have solar or use green power? Become a solar citizen! Could Australia run only on Renewable Energy for its electricity?